One of my daughters-in-law told me a little story last night about her and my son when they were dating. Apparently he said something about his mom doing his laundry. She said, "Seriously, you are in your twenties and your mom still does your laundry?" "Ummm, yeh. She loves it. Laundry is her favorite chore." Daughter-in-law did not believe it until she got to know me. So, that got me to thinking. I love to do dishes...What other job in the world can you do, and then feel cleaner than when you started? I also love it when we camp and I get to do the dishes...lots of warm soapy water, and you get to feel clean at least once a day! (Arizona campgrounds have no showers like California!) Oh, and my least fav...scrubbing the toilets! I don't mind doing laundry although I would not say it is my favorite. I do enjoy washing dishes. I like doing them and I always wear my rubber gloves, and I use detergent and white vinegar. It keeps all my dishes so clean. And, as strange as it may seem, I enjoy ironing. I received that love from my dear grandma. Nice post! you sound like my mom. she is so domestic...i, on the other hand and domestically challenged. my favorite chore would have to be cleaning the floors....whether it's sweeping, mopping or vacuuming. i love seeing my hardwood gleam! I used to love laundry when It was just me. Even when it was just me & Joe it wasn't so bad. Now that I have three dirty, dirty, dirty boys I've adopted vacuuming as my new favorite chore. Probably vacuuming...it makes the house look clean even if that's all you do. What do I like the least?? Dusting, although I do it because I hate dust. A lot of us like to do laundry. You are not the only one! It is very important for me to have my family look clean and kept. I am actually shocked that your daughter in law was stunned that you like to do laundry. Hopefully she is more in the groove now that she is married to your son. Hmmmm....I would maybe worry about that one! my favorite chores are vacuuming, sweeping, and mopping least favorite is dusting! yes, dear duaghter we both love our laundry chore! And yes, I do seem to always be getting some 'special' garments to take home and remove a stain. And no matter what age our children,if doing a little laundry makes them happy then so be it! 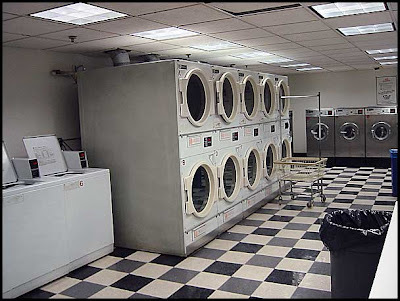 Oh...the sweet smell of clean clother right out of the dryer,My dream is a brand new front loading waher and dryer. 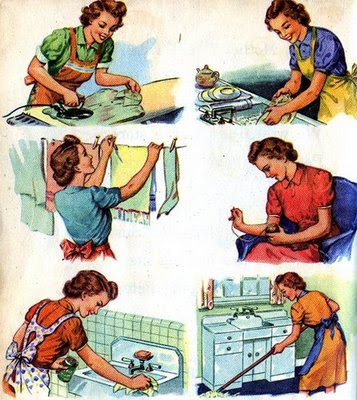 I have always liked doing the dishes. The washing and rinsing is quite relaxing...but with the dishwasher I just don't do it. Laundry...not so much. I think doing laundry is my favorite chore. Especially when I can hang it on the clothesline. I love the smell of the clean clothes when I fold and put them away. I do not like to vacuum - it is my least favorite chore - I would rather clean the bathrooms than vacuum. I too love laundry - and hate dusting. I noticed a trend like that in the comments. I also really like ironing....I think it's the fact that both chores can be completed, start to finish, and you can look at your results. BTW, I love being The Guggie to 6 adorable munchkins. I do not like cleaning my husband's shower!!!! Nope don't like it at all!! Crack me up! Will you come do my laundry?! What if I don't have a favorite chore? Laundry is my least favorite, lol! it seems neverending! 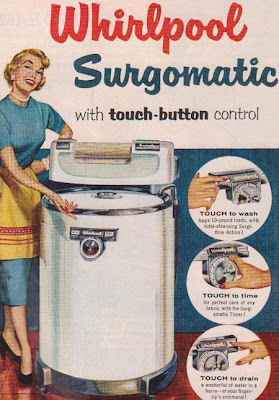 ummm...i can't think of a single household chore that i like. i can, however, tell you that my least favorite one is mopping! I love changing out the bed linens. There's just nothing like climbing into bed at night under clean smelling sheets. The best! Well I wasn't going to admit to it but since so many others have there is no reason for me to "shy away from the truth" I love hanging laundry on the line. The fresh smell is wonderful, I don't do it when it's cold out and I take them down as soon as they're dry so they don't fade too much. Least favorite is unloading the silverware from the dishwasher, it just takes so much sorting. Oh one more thing...I don't hang the socks, underwear and bras, I usea drying rack or put the personals from all the loads in the dryer together. I, too, LOVE doing laundry. I wish I could get paid to do it! LEAST - floors, bathrooms, sinks, packing lunches, vacuuming, picking up toys, dusting, sifting through mail and school stuff, dishes.....oh was it suppose to be just one?? ?